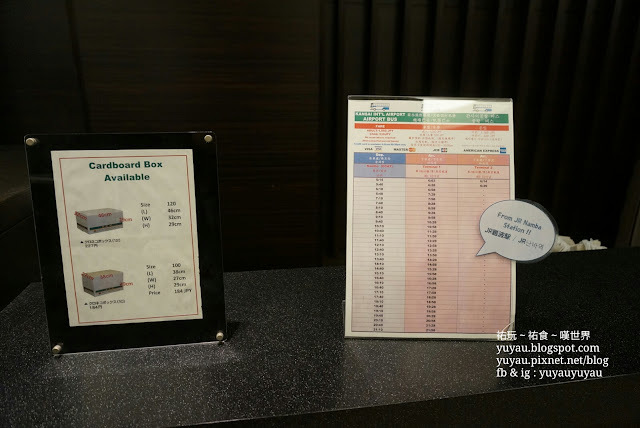 IHG has just opened the Holiday Inn Osaka Namba in last November 1st. 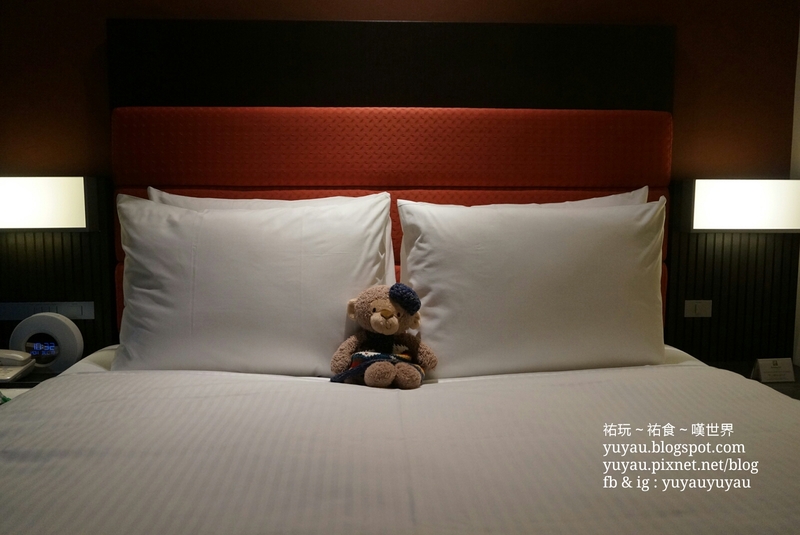 I booked there the night before heading back to the Kansai Airport. 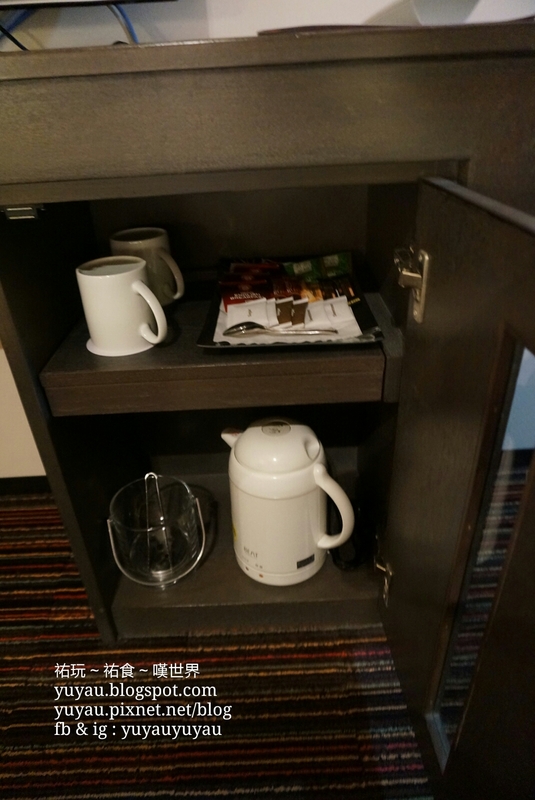 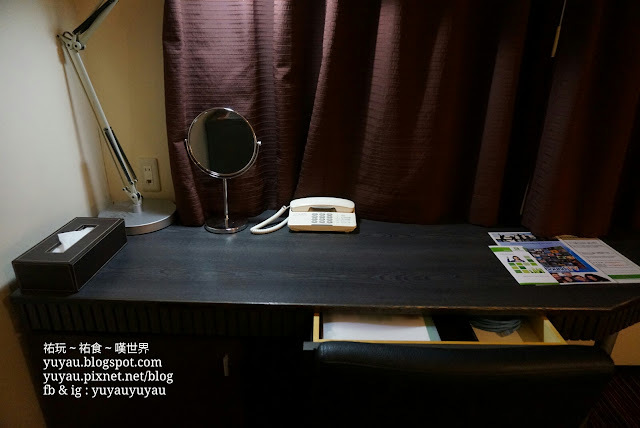 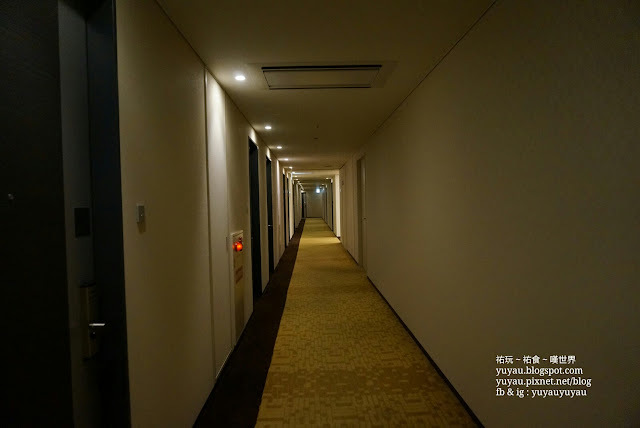 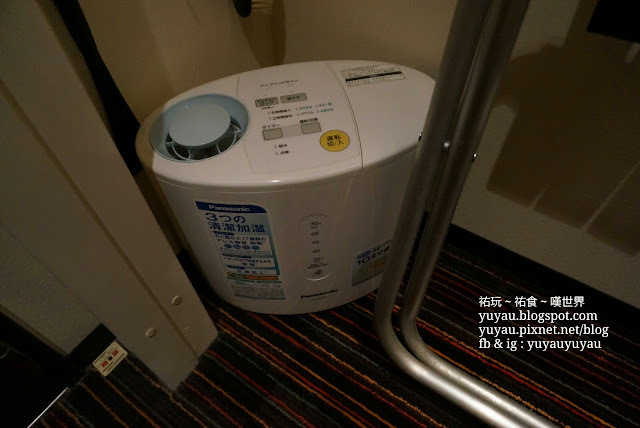 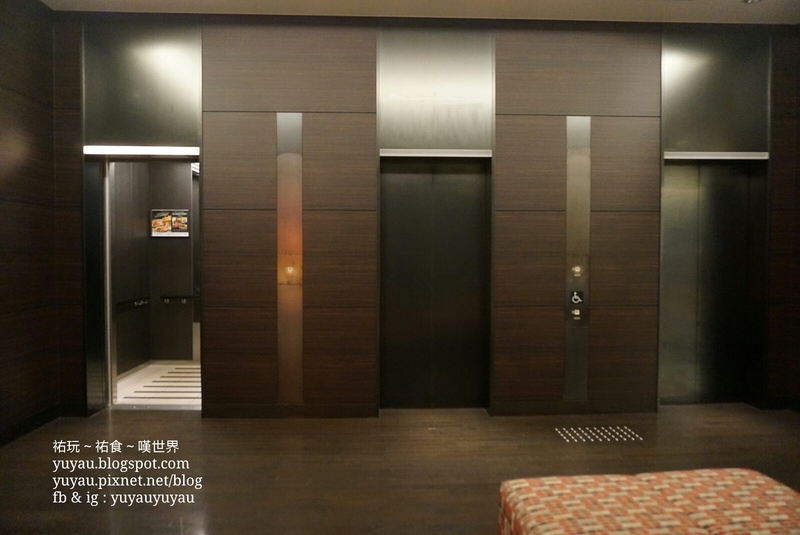 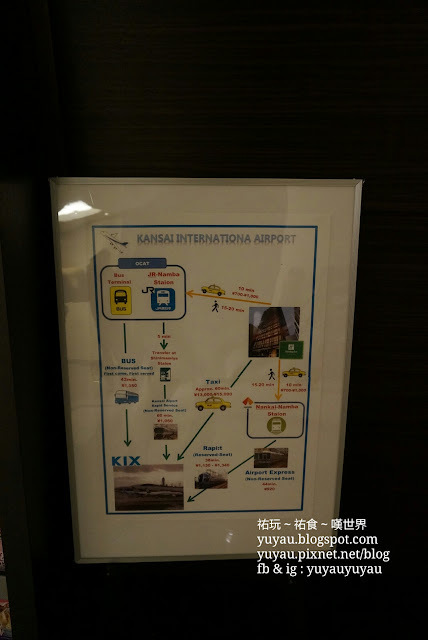 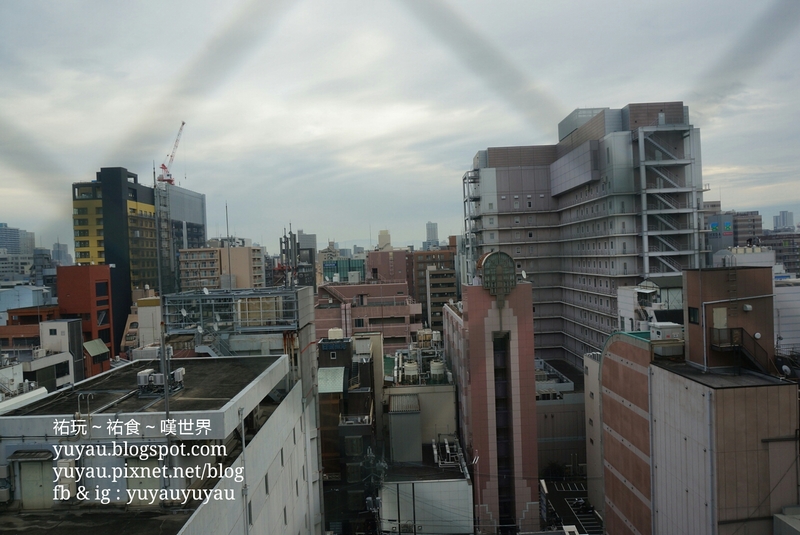 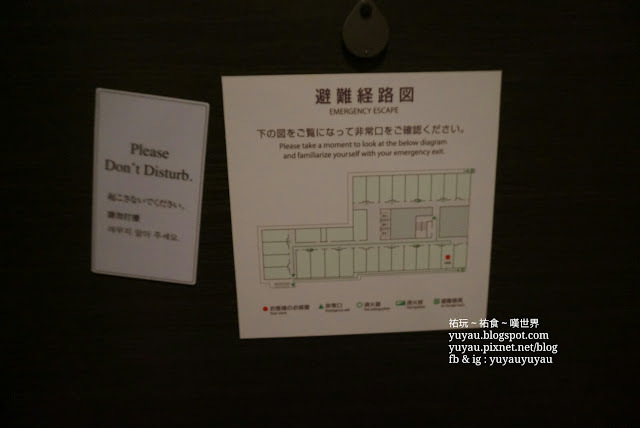 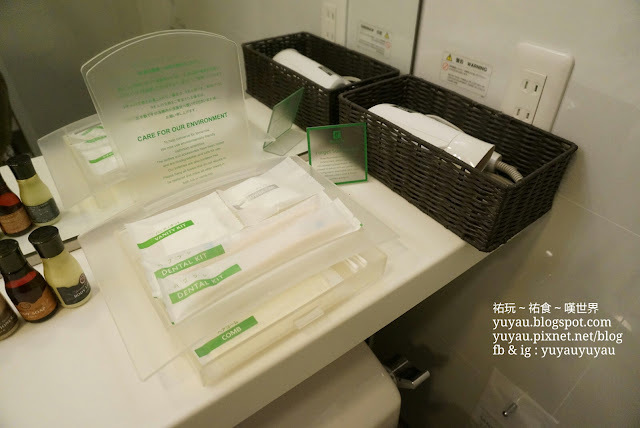 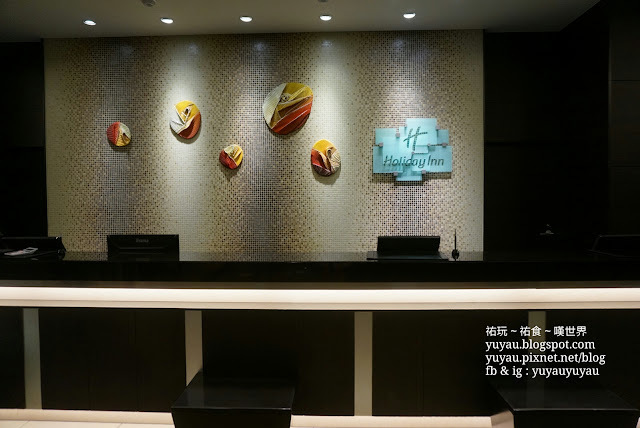 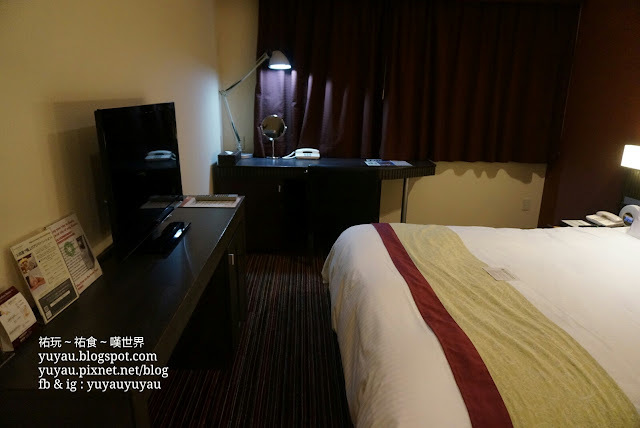 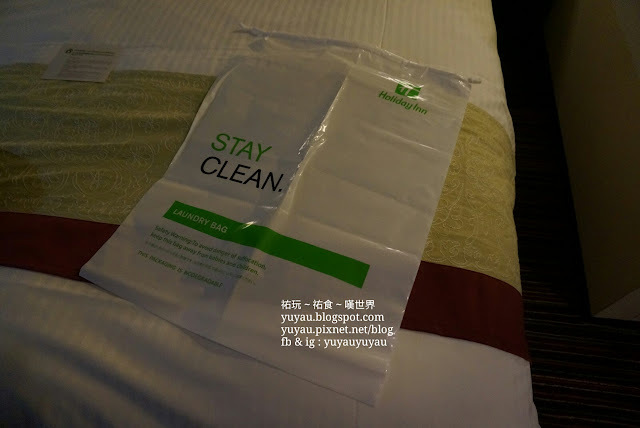 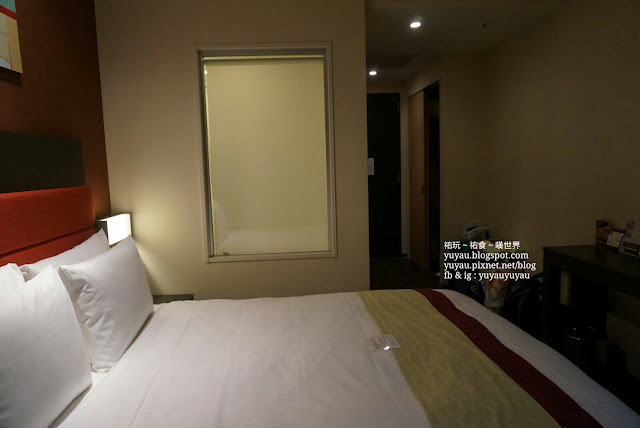 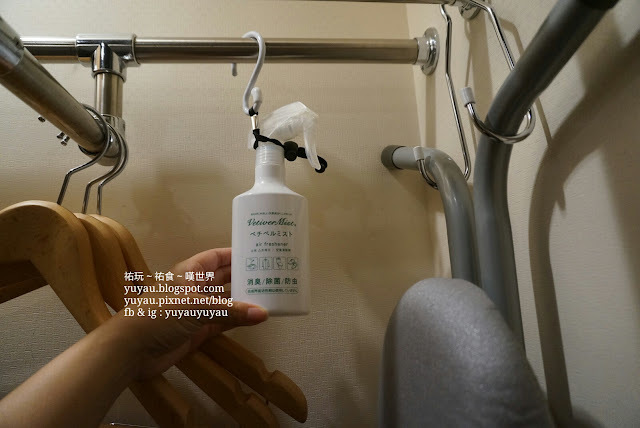 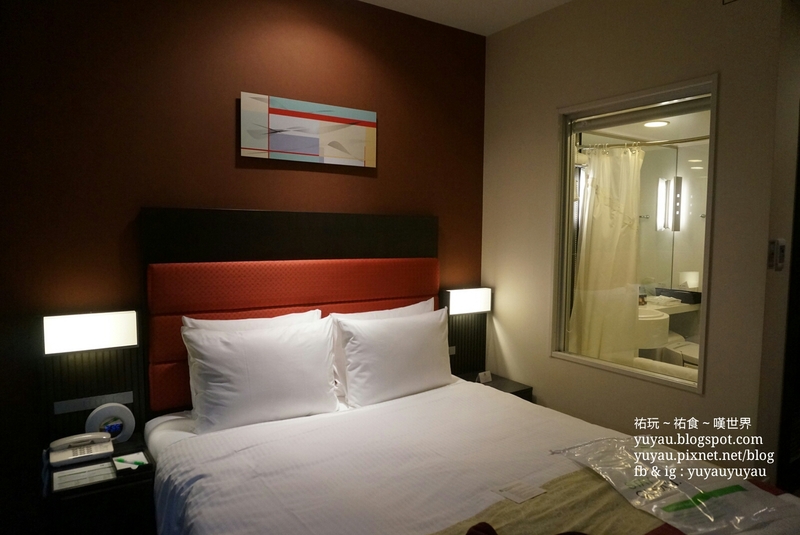 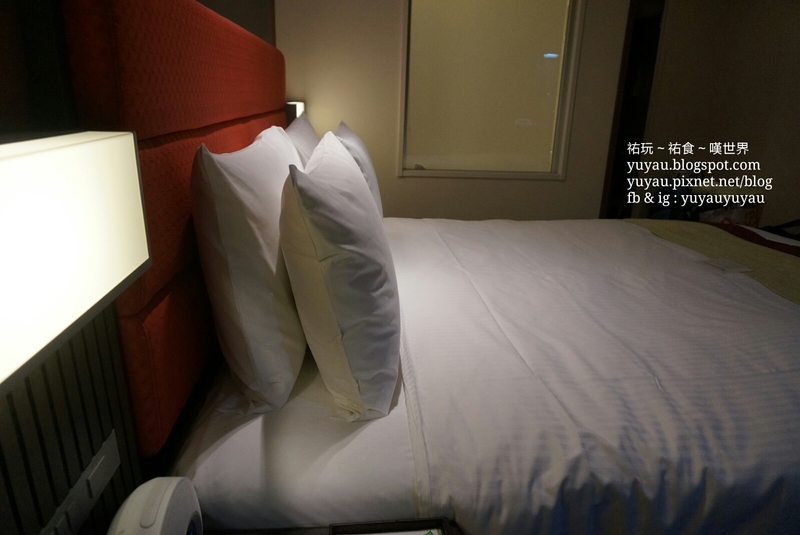 Although the hotel named as Holiday Inn Osaka Namba, it is not really located in Namba. 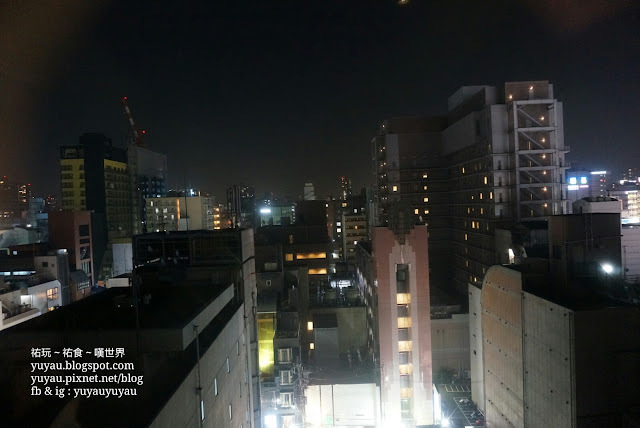 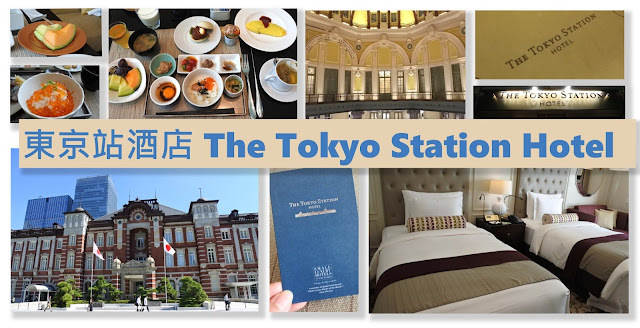 I think it is located in a better area, just few steps away from the famous Dotonbori Street which is known for shopping, food and entertainment. 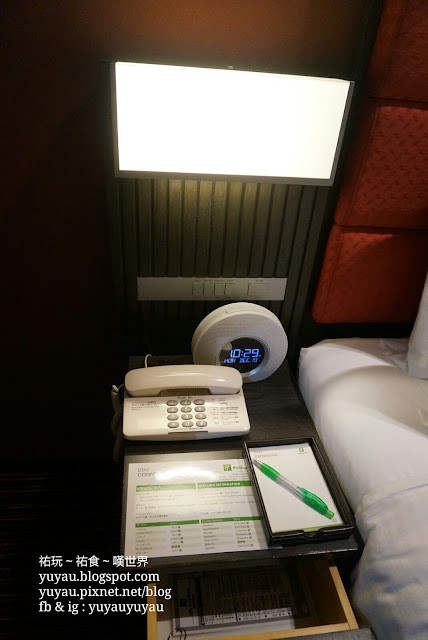 I checked in at around 8pm, as it was not the peak check in hour, only took me around 3 minutes to get the room key. 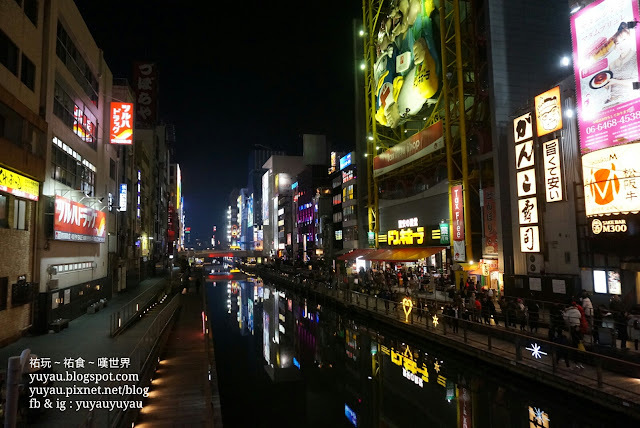 Hotel is located in the heart of Osaka, Dotonbori, where you can shop until midnight and lots of good food nearby, e.g. 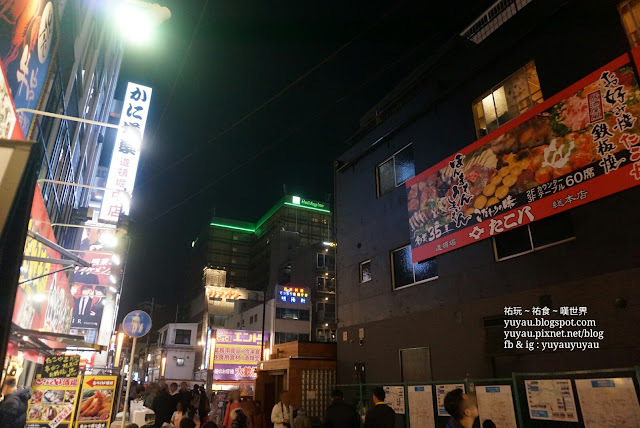 Kanidouraku, Kinryu Ramen, okonomiyaki and tagoyaki stalls etc. 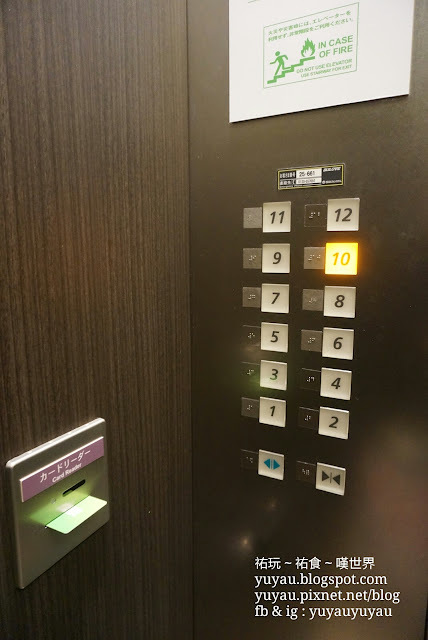 Room key card is required to access the elevator. 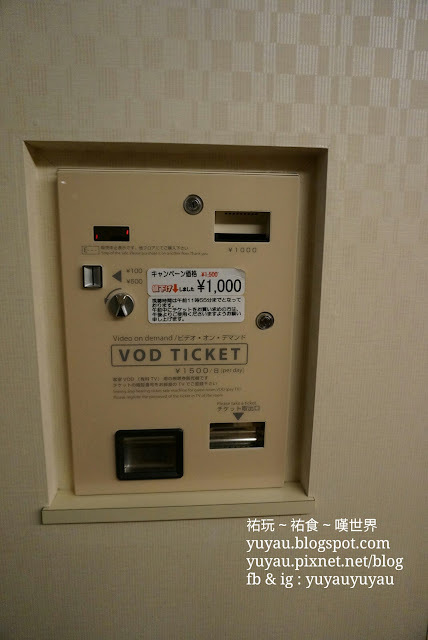 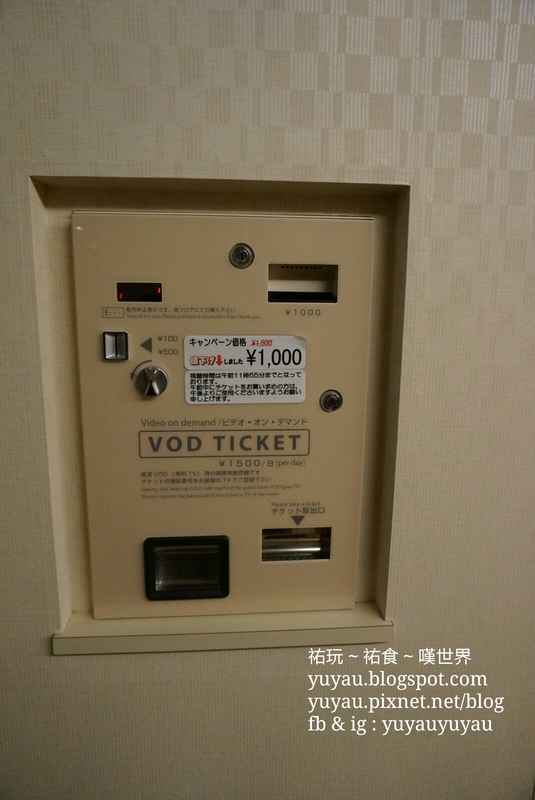 There is VOD selling machine at the corridor, I don't think people would need it with the free wifi service. 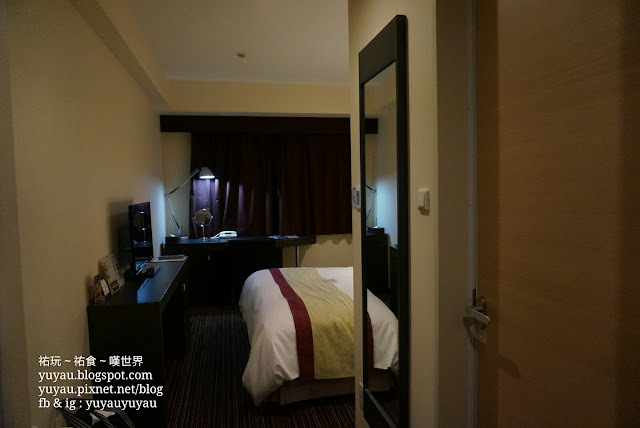 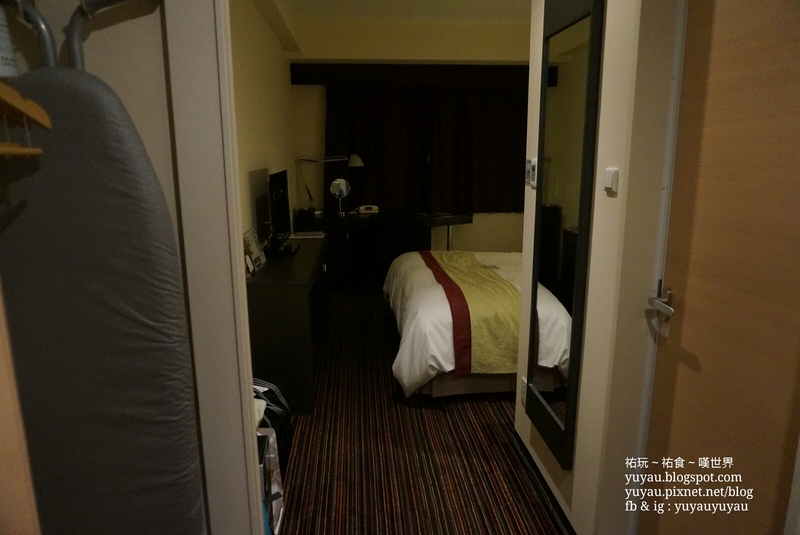 Time to show you around my room, the 20sqm Double Room. 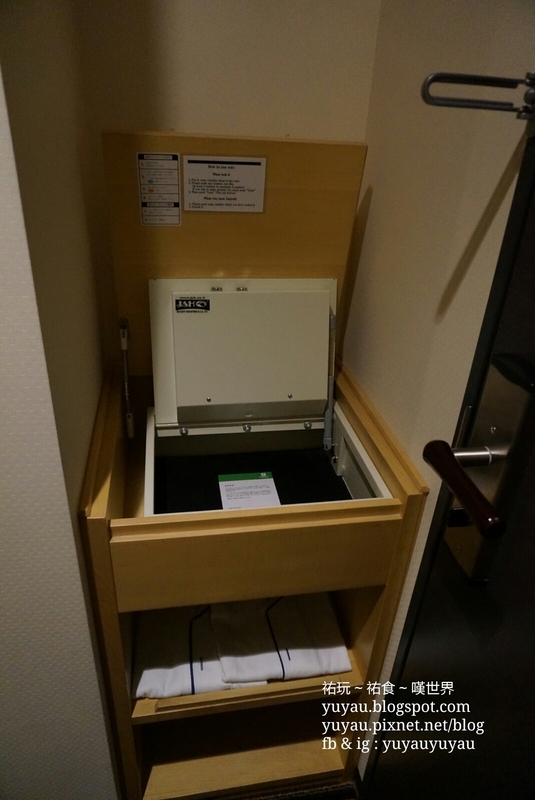 Safty box and pajamas right next to the door. 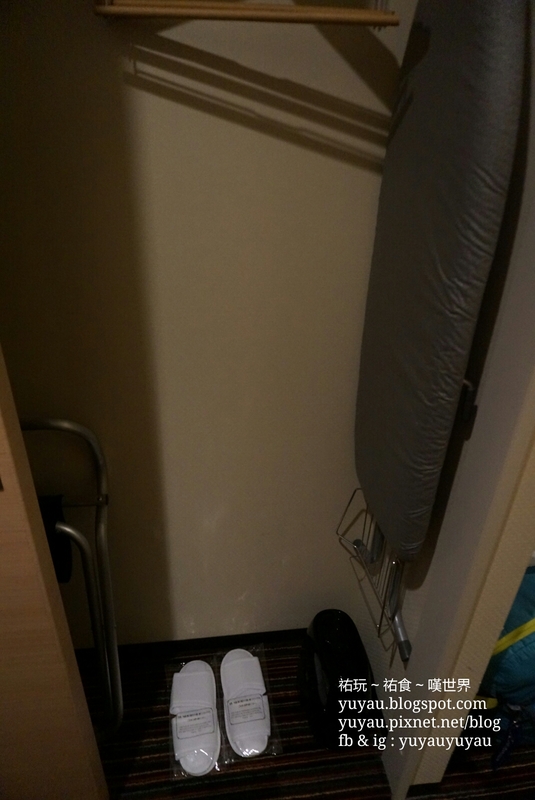 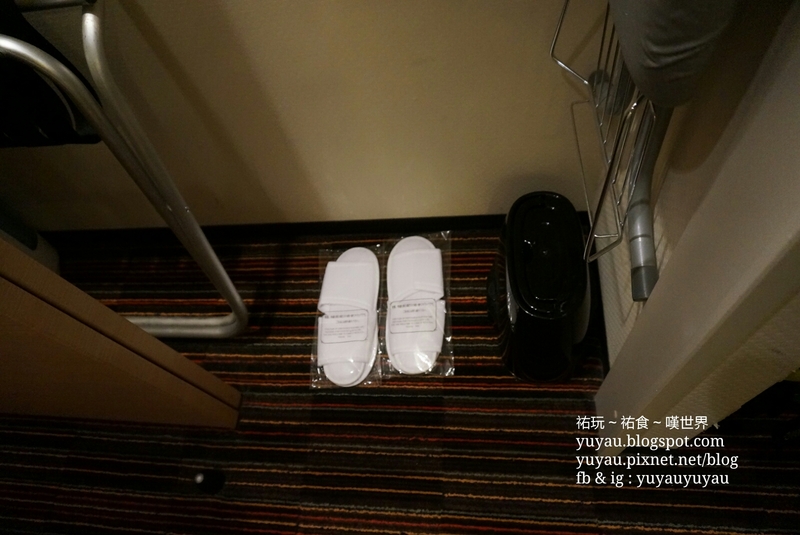 Wardrobe on the left with hangers, iron board, iron, slippers, luggage rack, humidifier and deodorant. I like this big laundry bag for my dirty clothes. 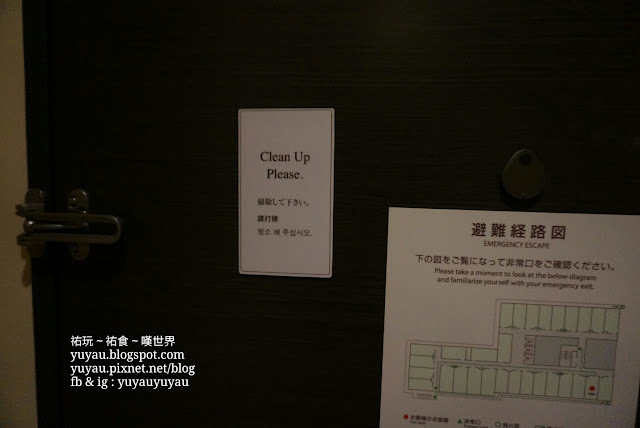 Simply put the magnet "Clean up/ Do not disturb" card outside the door if needed. 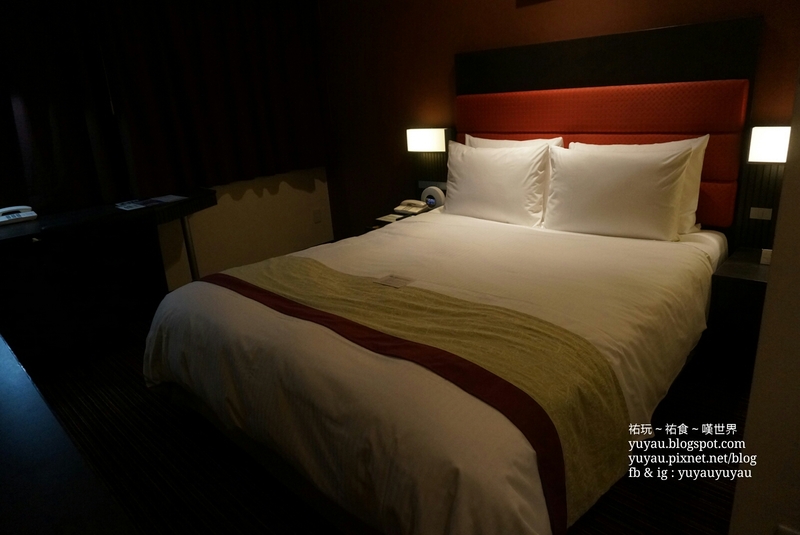 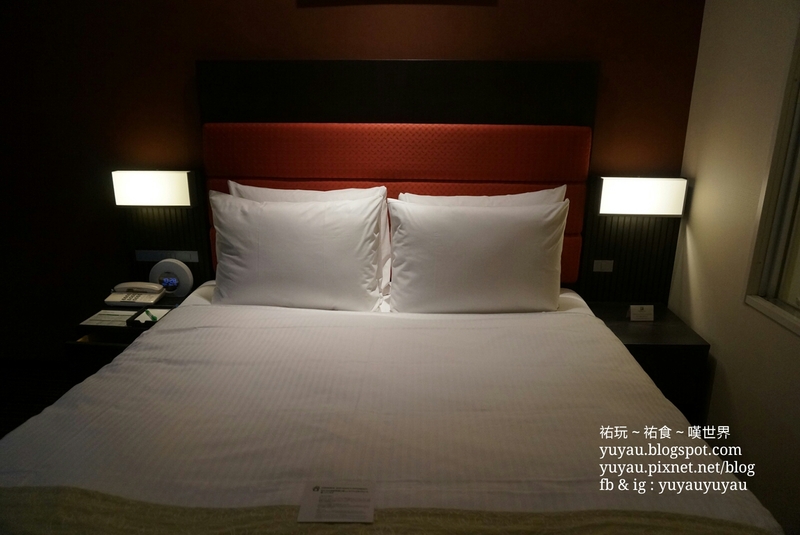 Double bed (160x200cm) in bouble room, maximum for 2 pax, perfect fit for single traveller like me. 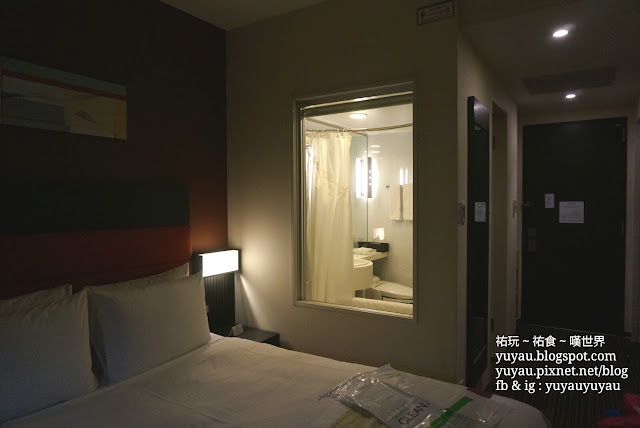 There is window between bathroom and bedroom making the room looks bigger, and of course you can pull the curtain down when using the bathroom. Working table by the window with city view. There are total 3 2-legs power plugs available in room. 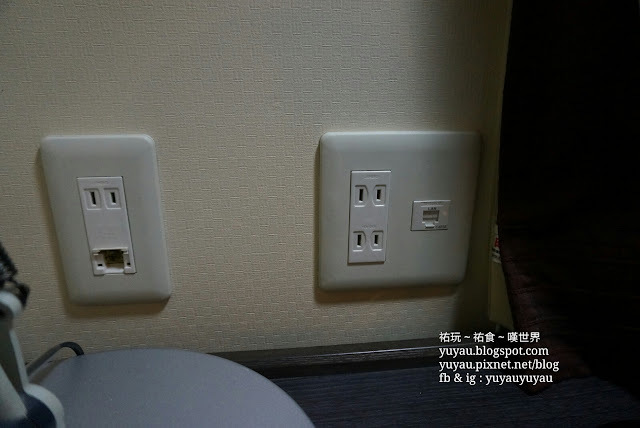 Bringing your travel universal adaptor is recommended. 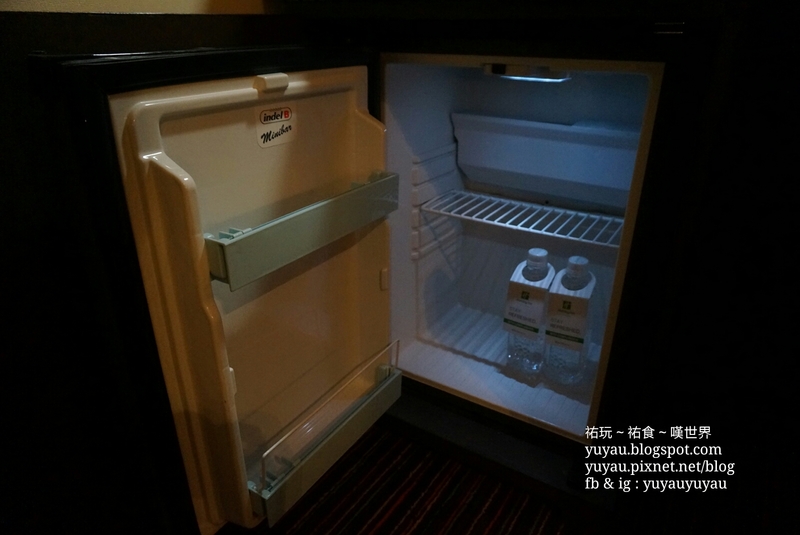 Two free bottles of water in the fridge. 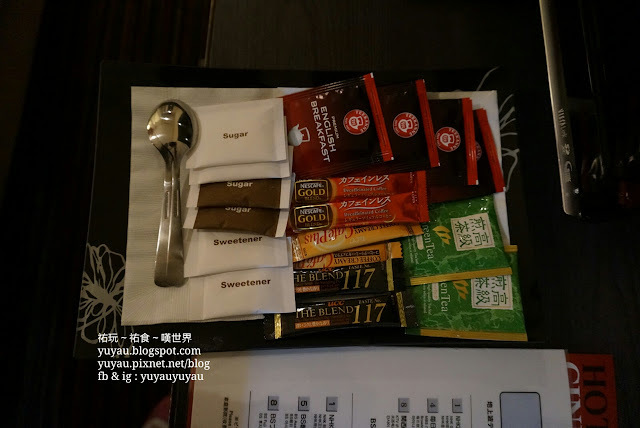 Instand tea bags and coffee bags for free. 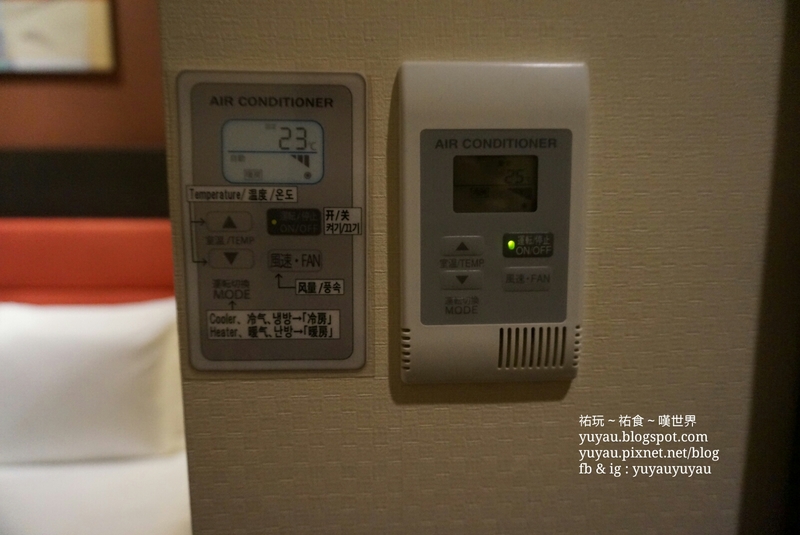 You can adjust the room temputure with this control. 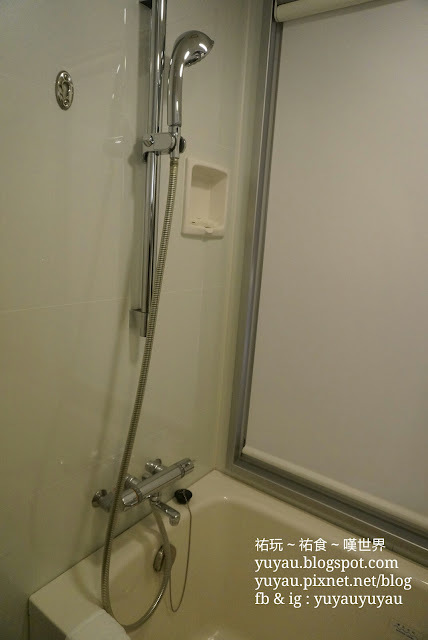 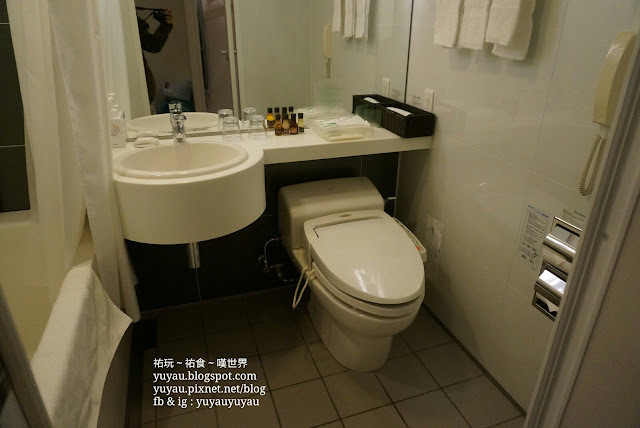 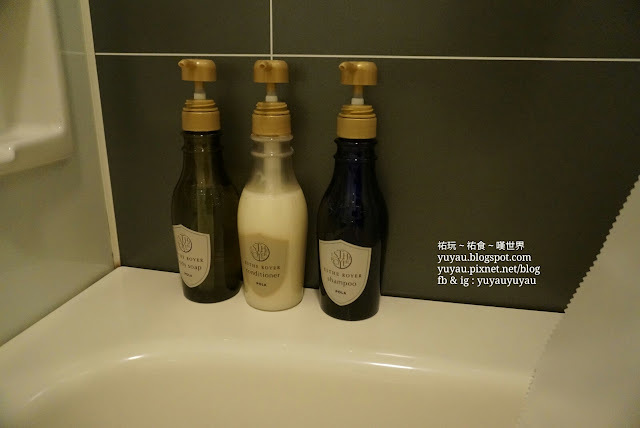 The bathroom is equipped with electronic bidet-integrated toilets, bathtube and shower, with one-off bathroom amenities provided. As mentioned above, tt is just one minute walk to the Dotonbori street, and 5 minute to Shinsaibashi shopping street.